Although it was a curtain-raiser (the term is used for matches that are meant to entertain the audience before the main event starts) the Sydney Convicts squarely trounced Macquarie University 30 to 12. 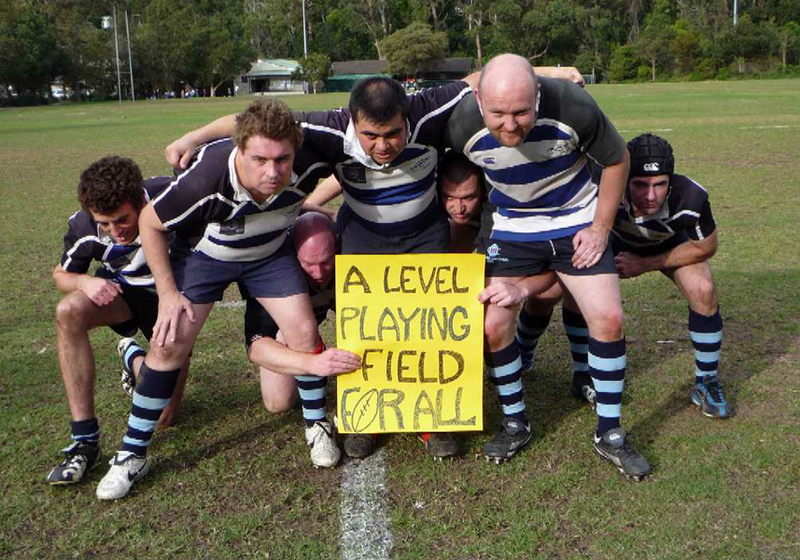 The match marks the first time that a gay rugby club has participated in a professional level event. This comes just a few months before the Bingham Cup, the world cup of gay rugby that will be held in Sydney August 24th to 31st and have matches between fifteen different countries. The match had significance beyond the players’ sexuality, however. Jason Fowler is a former member of the Macquarie squad that the convicts played against. A 30-second anti-homophobia advert was also shown during the main game.